A newer app for networking, Snapchat has started a new revolution in the communication sector. The unique app allows people to send images and messages to people across the globe and delete the same a few seconds later. Using the app has a lot of benefits for people, with privacy being the most important advantage. The program is used for connecting with family and friends, and keeping communicated messages private. Even marketers are using it for connecting with others. Today, proxies are being used on Snapchat for marketing purposes. Find out about the main benefits. Private proxy is used on Snapchat to ensure greater exposure before the most attractive demographic group. At present, Snapchat has about 160+ million users across the globe. 72%+ of this group comprises of milennials. 75%+ of all the users of Snapchat are primarily online shoppers. Your content can be more relevant for a small platform, which is used primarily by millennials. With private proxy, you can get the chance to create targeted campaigns and accounts which would interest users and engage them. 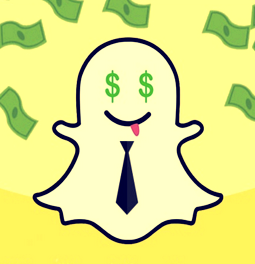 Due to the time-based feature of Snapchat, you can get a lot of advantage as a marketer. You can cross-promote advertising campaigns and maintain your accounts to gain a competitive edge over other marketers. Online users generally have a limited attention span. But the time limit feature of Snapchat makes this brief attention span a great marketing advantage. Using private proxies, you can easily manage multiple accounts in your company, and coordinate campaigns to build up awareness about your brand. This will lead to various other campaigns. Marketing is a war based on creating perceptions, a well known fact for marketers. With private proxy, you can get optimal benefits out of your campaigns once you wisely plan them. With the Automatic tools or Snapchat bot you can easily add more users to those numerous accounts without having to do it all manually. Then, you can send out mass messages of products or Promotion via the accounts. You can deliver more content to targeted users than competitors in a short time span, and attract more number of people to your campaigns. With private proxies, you can also get the chance to prevent your main account from getting banned. You can develop a number of accounts and always keep the main account separate, which would help you avoid getting your real IP banned. This will let you avoid various issues which might be difficult to face in future. Proxies will show you from altogether new location, making you look like a completely new user. You will be free to do anything with the new account without worrying about the safety of the primary account which is used to communicate with family and friends. With short-lived messages, Snapchat has become a one of a kind platform in the world of social media. It has more interesting and engaging content due to its niche audience and temporary setup. It creates a scarcity bias which attracts users to be highly attentive to most of the content that it gets. With Snapchat with Private proxies, you can make strategic advantage of this scarcity bias and create campaigns with urgency factors and integrated build-up factors.